The Office of Planning held a public meeting on July 14th to go over their draft recommendations for the Maryland Avenue corridor from 12th Street to 4th Street. The western boundary of the study area abuts the Portals, where Maryland Avenue is a rebuilt, landscaped road on a deck atop railroad tracks. 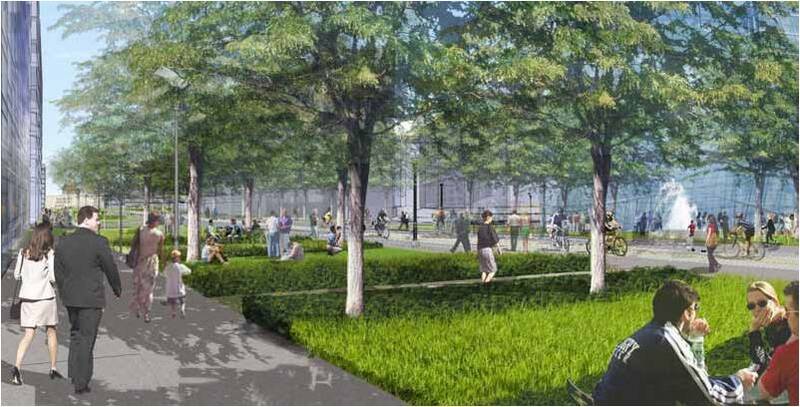 On the east side between 4th and 6th Street, there are plans underway to build a memorial to President Eisenhower called Eisenhower Square. 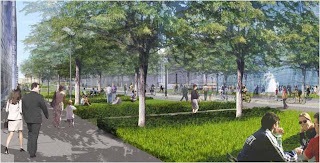 The Maryland Avenue corridor is envisioned as a park-like setting. The results of a survey conducted by OP found that respondents thought the Maryland Avenue corridor needs parks and open spaces the most, as well as improved building facades. Basically, OP recommends (with the help of their consultants at AECOM) that Maryland Avenue should be decked from 12th Street to Reservation 113 (AKA Hancock Park, or the green space formed at what would be the intersection of Maryland Avenue, Virginia Avenue, 7th Street and 9th Street) as well as 9th Street from Independence Avenue to D Street. 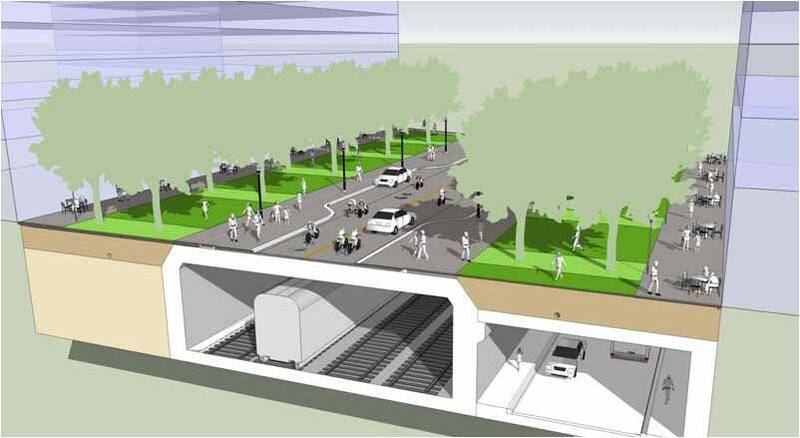 The roadway along Maryland Avenue would run in the middle of the 160' right-of-way with one lane in either direction and wide park-like open space on both sides to accommodate pedestrians. Limited on-street parking would be accommodated. Stormwater can be collected and filtered from deep tree wells along the avenue and sent to infiltration zones beneath the street. Two passenger tracks each for passenger and freight rail are planned below a decked Maryland Avenue. In addition to stormwater connection, there would be space beneath Maryland Avenue for a four-track railroad system with two tracks for passenger rail and two tracks for freight rail, which would improve rail access in the corridor. As a part of the sustainability aspect of the plan, a piezoelectric generation pilot study along the railroad tracks could show that electricity can be generated as trains pass by, which then can be used to power street lights and other amenities along Maryland Avenue. Improvements are envisioned for Reservation 113 to connect pedestrians with an expanded L'Enfant Station, that would serve VRE, MARC, AMTRAK, Metrorail, Metro Bus, and streetcars. At least four GSA parcels are ripe for infill development. There are four potential infill sites along the avenue that are owned by the GSA. They are located at the northeast corner of 12th & D Street, the northwest corner of Maryland Avenue & 10th Street, the northeast corner of Maryland Avenue & 10th Street, and the northeast corner of Maryland Avenue & 7th Street. There are also opportunities to redevelop the GSA building along D Street that faces Reservation 113 and The Reporters Building at 7th & D Street (where Pizza Autentica is located). OP and AECOM recommend that any new development in the corridor should be oriented toward Maryland Avenue to help frame and define public spaces and the historic right-of-way (whether or not the decked roadway has been constructed at the time the buildings are completed). Proposed zoning changes would encourage a mix of uses, including residential, cultural, hotel, retail, and office, in order to make the corridor (and the SW Ecodistrict as a whole) an extension of downtown. 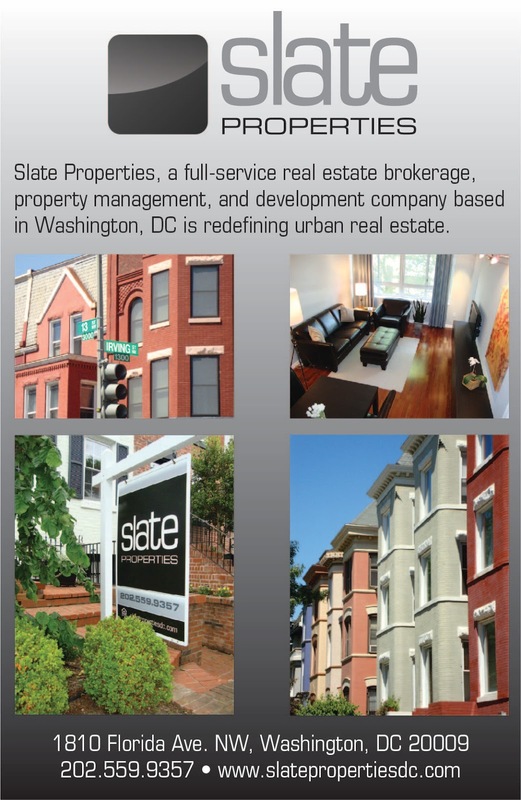 For instance, retail nodes are suggested at the intersection of Maryland Avenue & 10th Street and at L'Enfant Station. Residential and hotel uses are also possible along Maryland Avenue - the SW Ecodistrict plan calls for at least 1,000 residential/hotel rooms to make the area a viable neighborhood, which the Maryland Avenue corridor can help accommodate. Also, a cultural/commemorative destination is envisioned for the southwest corner of Maryland Avenue & 10th Street. Improvements along Maryland Avenue would begin with the block from 6th Street to 7th Street, since this section already exists and is at-grade. The elevated sections would be done later as financing becomes available (perhaps a public-private partnership or CSX?). More details on the Maryland Avenue Plan can be found here. The comment period on the draft recommendations will be open until Friday, so contact Joyce Tsepas at the Office of Planning by email or by phone (202-535-1556).